The Chadwick’s first book, The Classic Cattleyas, sold out in 2006 and is being reissued with new material this summer. Martha Stewart favorably reviewed the book and had both Chadwicks on her TV Show. A second book, First Ladies and their Cattleyas, is being edited. 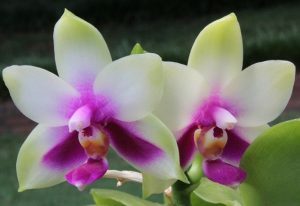 The Chadwick’s have the distinction of naming Cattleya hybrids after the wives of the five most recent U.S. Presidents and personally presenting the flowers to most of the honored recipients. 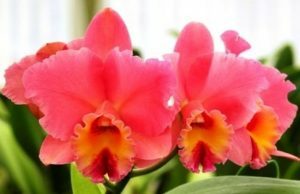 Art is a ‘regular’ on the orchid society speaker’s circuit and has spoken at two World Orchid Conferences – France 2005 and Ecuador 2017. 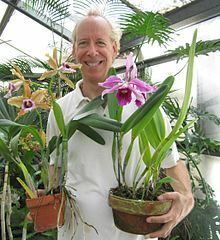 He also writes a monthly orchid advice column that is carried by many newspapers. Chadwicks operates 11 greenhouses in rural Powhatan County, a retail store in Richmond, and boards over 13,000 orchids for local clients. The company was recently featured in Southern Living magazine, The New York Times, Bloomberg News, Smithsonian magazine, the Washington Post, and CBS Evening News.